Apologies for the quality of this photo but I thought you might like it anyway. Out and about on our local high street this evening we noticed this sign outside an Indian restaurant advertising a truly unique type of meal! 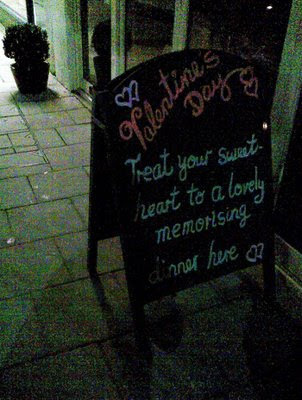 Thanks darling, that dinner was truly memorising! Golly, if it's memorising, count me in! Why of course, memorising dinners are the best kind!